I would really love to win some of these to try out. They look wonderful to work with. Whoa ! Those are beautiful ! I could have some serious fun with them. I would LOVE some of these, Cyndi... such gorgeous organic pretties! Wow, what a great giveaway! Thnkas for the chance to win! 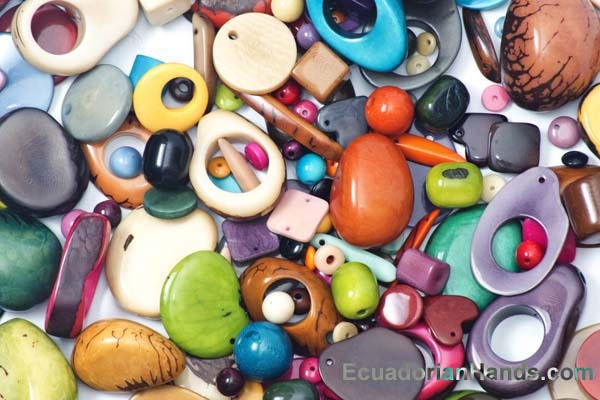 Thank you for the chance to win some of these beautiful, interesting beads. I have done a few pieces of jewelry with crystals and glass beads, this will be an interesting change from the more common type beads. These look really cool, something different, inventive and I love the fact that they are "Green" in terms. thanks for having an awesome giveaway. Oh, those look like luscious goodies! Thanks to you and Ecuadorian Hands for such a wonderful giveaway! I would so love to win these beads! Pretty please count me in!Thanks a bunch! I have heard of these beads but never had the chance to use them. Would love to win a set. Have been intrigued by Tagua nut beads since they first hit the market. Would love to play with them. These beads are fantastic! Thank you for the giveaway offer. I love beads and anything beading. I sure would love to have some of these! I just shared on Facebook...Thanks for the chance to win these! They are so beautiful! I can just imagine what I can do with them! I have longed for Tangua nut beads for years! Thanks for the chance to win some! I bought a few of these when I was in Ecuador and ever since I have been sorry I didn't buy more. Thanks for giving me a second chance. oh boy would I love some of these! Would love to win some of these beads. Have been looking for supplier, so thank them for sponsoring this giveaway. I shared this on google as well. Calling all seed bead fans!